COME DINE AT ONE OF OUR RESTAURANTS! Our restaurants draw inspiration from our farm in Duxbury. All true “tide to table” experiences with emphasis on quality, service, and a dedication to fresh locally grown and harvested ingredients. 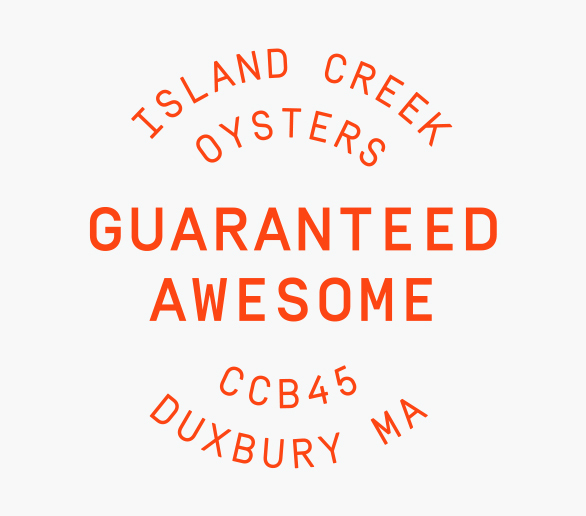 Island Creek Oyster bar is a collaboration joining farmer, chef, and diner, welcoming guests to know their oyster grower, winemaker, distiller, brewer, and fisherman. Serving sustainable seafood in a sophisticated setting with colors and textures reminiscent of Duxbury Bay, ICOB brings the farm to the restaurant. Row 34 is an approachable and convivial neighborhood-focused restaurant and bar that continues the team’s mission of celebrating New England’s rich seafood traditions and the farmers, fishermen, and lobstermen who inspire them.